What Penny Hoarder hasn’t been tempted by the thrill of a good bargain? I’m not much into brands myself, but I do admit I’ve been lured to my local outlet mall a few times in the hopes of snagging some luxury goods at deep, deep discounts. And if you are into brands — whether it’s a midrange one, like Gap or Banana Republic, or the higher-end houses, like Coach and Burberry — outlet malls seem like great places to splurge at a fraction of the cost. But are you really getting an awesome deal at outlets? Unfortunately, the answer is usually no. Here’s what outlet stores don’t want you to know. Outlet Stores: High Quality at Low Prices? One reason I’ve been willing to consider luxury labels (albeit at a wildly discounted cost) is because I believe they’re made to last. Yes, part of their jacked-up price is due to the brand name, but it’s also because luxury goods are often made of higher-quality fabrics in a higher-quality manner. If I don’t care that the Coach bag I got at an outlet is “so last season,” I can probably expect it to weather several seasons and still look fabulous, unlike the cute bags I’ve bought for a steal at Target that lasted less than a year when I was lucky. Most consumers assume outlet malls stock their shelves with overstock, end-of-season or slightly flawed inventory (think: a seam with a few errant stitches) — in other words, the same stuff you’d find at full-price retail stores. But the truth is, many outlet stores price their items cheaper than their retail counterparts because their quality is cheaper, too. Much of the merchandise sold at outlet stores is manufactured exclusively for them, and may be of lesser quality than the merchandise sold at non-outlet retail locations…. Recognize that if you’re buying something that looks new and undamaged, the price may be lower for a reason. For example, plastic might replace leather trim on a jacket, or a t-shirt may have less stitching and a lighter weight fabric. If top-quality is important, you may want to keep shopping. OK, so maybe the quality of outlet items isn’t on par with what you’d find in a traditional store — but you can still sport something made by a brand you normally couldn’t afford, right? We’ve found that for an aspirational shopper, they are looking for the same design mix found at Neiman Marcus, but at a lower price point. Many designers we carry are designers we have in our full line store, but there might be a different fabric or buttons or the finishing touches might be different. I wouldn’t call the clothing cheaper, it’s just less expensive. For example, a DVF dress might have a pattern that wasn’t picked up from our full line stores, so we made a batch of them for the Studio stores. Unfortunately, not all made-for-outlet merch is so close to the real thing — or even made by the company on the label. As reported by Buzzfeed, Saks Off 5th executives admitted to investors that “brand-appropriate” vendors — i.e. outsourced cheaper manufacturers — produced nearly 65% of its goods. In essence, luxury brands are knocking off themselves, then selling those knockoffs to you, whether you realize it or not. At least when you buy a knockoff from a street vendor in New York City, you enter into the transaction fully aware you’re not getting the real deal. But I’m Still Getting a Discount at Outlet Stores… Right? All right, so you’re getting potentially lesser-quality items that may not even be manufactured by the brand whose label is on them. But at the very least, you get the thrill of buying something for a fraction of its original cost… right? I promise to stop bursting your bubble in the next section. But for now, I have to say it one more time: You may be mistaken. Remember that whole cheaper quality thing? It means the slashed price you see on an outlet mall price tag is just another part of the illusion. The University of South Carolina Department of Retailing conducted a study to uncover the truth behind the manufacturer’s suggested retail price, or MSRP, which many shoppers use to calculate the discount they’re getting on outlet purchases. Researchers selected nearly 700 random pieces of merchandise from outlet stores and compared their prices to those of similar items in traditional retail stores. And even if the outlet MSRPs had been the same as those in retail stores, you’d still be comparing a cheap knockoff’s discounted price to the full price of a genuine name-brand item. 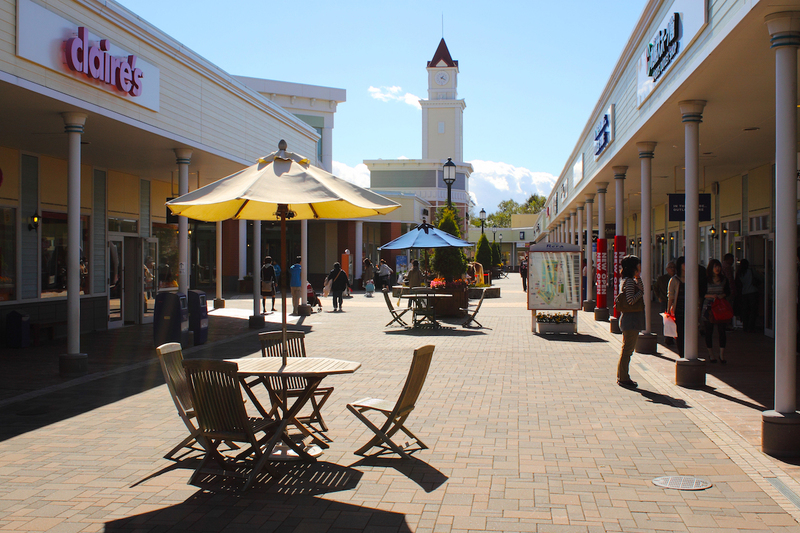 Are Outlet Stores Worth Visiting? While all this info may feel a bit doom-and-gloom, there’s still nothing wrong with shopping at outlet stores — so long as you do so with your eyes wide open. Even grocery stores use tricks to get us to spend money; the secret to being a savvy consumer is knowing those tricks and taking them into account when you’re considering buying something. So if you still love the idea of fooling your fashionista friends with a “luxury” item they think you spent a fortune on, go right ahead. Your secret’s safe with us. Your Turn: Will you continue to shop at outlet stores?